That time of year is once again upon us where our women and men are expected to show their love and affection for one another. The burden however is in reality, truly placed on the big broad shoulders of our men! Our men are expected to be spontaneous, charming, and romantic, while also preserving their manly dignity, peace of mind, and bank account still intact! So begins the tedious task of magically producing that one special gift that communicates all three of these heartfelt virtues. A question often asked by men and women on a holiday such as Valentines Day is, should the token of a persons affection reflect its meaning through the cost of the gift? In today’s world we have become too self-centered, and materialistic forgetting completely what a gift means! This is a topic that amazes me on any holiday. If you are being judged by the cost of the gift you give, then the person who is receiving it is simply, quite honestly not worth it. A gift should be given from the heart not because a holiday or a person demands it. The TV media has blasted us with the ” Love is as Eternal as a Diamond ” commercials, until we feel “less than” if not sporting 3 carats of bling or more. Love is not measured in gems, or cash or expensive chocolates. Love is measured on how you look at each other, how you feel when your lips meet and most of all how you treat each other every single mundane day of your lives. Although it is nice to get gifts, it is important to keep in mind, what kind of gift is it that creates stress and debt? A simple flower is perfect but to spend nearly a hundred dollars on roses that will wilt in a week, does this make sense? The best gift, especially on Valentines day, is given from the heart. It’s a card made from a child or breakfast made from your spouse, its a special kiss at the end of a long day. The stress of putting upon expectations on a loved one for what you selfishly want is counter-productive. It screams, I only love you for what you will or can give me. Don’t be daring and give perfume if she hasn’t hinted at exactly the brand she wears…. Finally, the tried and true gifts, flowers, jewelry and candy… that have served man well over the generations, seem to always be truly appreciated. Simple, yet elegant. Don’t be afraid however, to think outside the box- Life is not always a box of chocolates- You can break from tradition if you find something that is truly romantic and has sentimental value to both of you. If you follow these tips, you’ll have a happy partner and Valentines Day with a loving reason to be in each others arms! 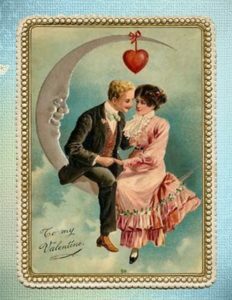 Do you know the Origin of Valentine’s Day? This entry was posted in Relationships and tagged love, relationships, true meaning of love, Valentine's Day. Bookmark the permalink. ← What’s up with the Hookup?